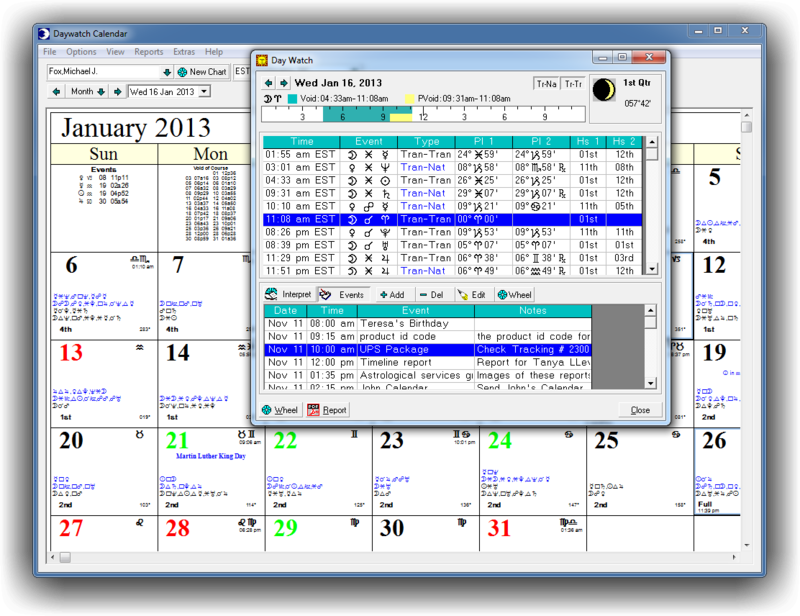 Calling Day Watch a calendar program is kind of like calling the Space Shuttle an airplane — it's not even close! 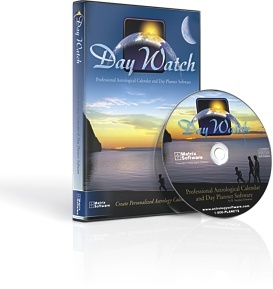 Day Watch is, in fact, the most innovative astrological forecasting software available. 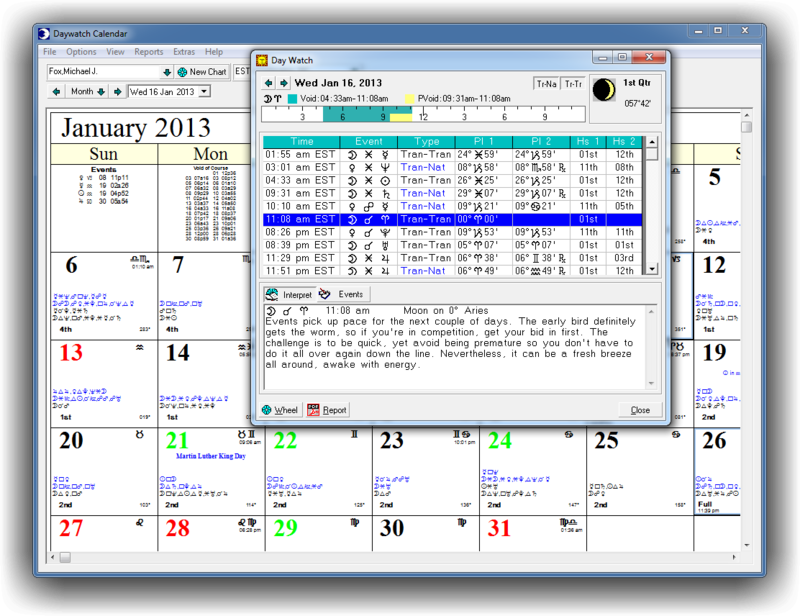 Certainly, it does create personalized astrological calendars, and is a great tool for Professional astrologers, as well as for anyone having an understanding of astrological terms, symbols, and technique; however, Day Watch also contains a full range of onscreen and printable interpretations of events that even someone with absolutely no astrological training can read, understand, and put to immediate use in their daily lives. For planning, Day Watch is absolutely essential. If you are a Professional astrologer, or a serious amateur astrologer, you are going to love this program's sophisticated features. If you are simply someone looking for information that will help you take advantage of the opportunities that are coming your way, or for information that will help you avoid or be prepared for the less pleasant events that may occur — you will appreciate the practical information Day Watch puts at your fingertips. 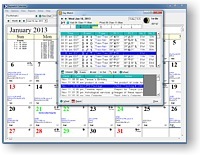 Print calendars for clients, look at a particular day, week, month, or even year, in as much detail as you want—such is the excellent forecasting power of Day Watch. 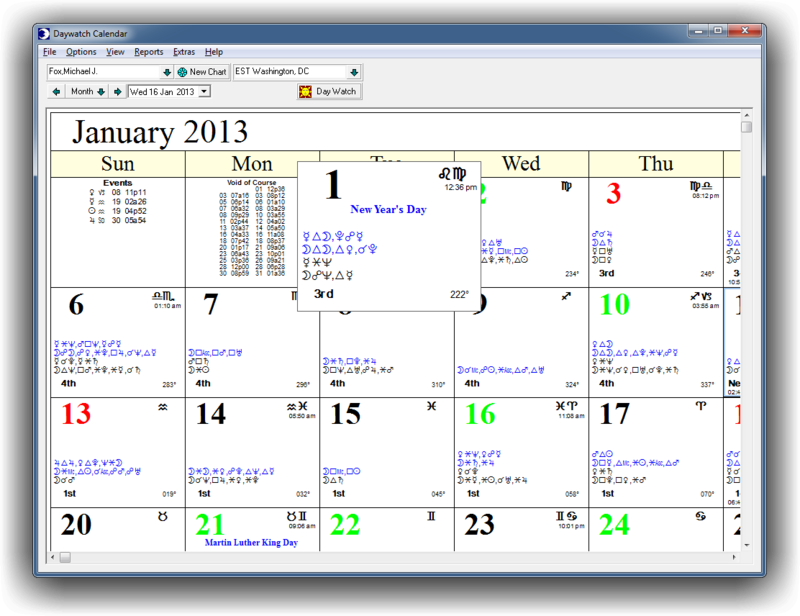 You can also use Day Watch as a daily appointment book, easily adding your own appointments, special events, or holidays. 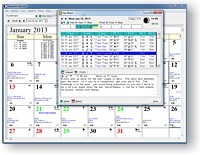 This scheduling feature also allows you to create a log book or a diary in order to record what actually happens on any particular day—in this way you may refine how you use the information you receive from the program, and become ever more effective at taking advantage of opportunities. If you are an astrologer with an active clientele depending on you for regular advice and direction, Day Watch is a must. If you have a chart service, or a report service, the calendars you create with Day Watch will be a great boon to your business. 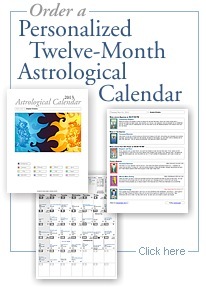 Create personalized calendars based on a specific natal chart. Print a particular month, several months, or an entire year, with or without interpretive text. 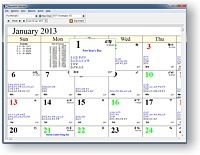 The auto e-mail feature lets you send calendars directly from the program to your client. For the auto e-mail feature to work you have to signup with Adobe or use an e-mail client such as Microsoft Outlook, Eudora, or Thunderbird. Select Tropical or Sidereal calculations. Choose from 14 house systems. Display transit-to-natal, transit-to-transit, or both. Display traditional holidays, or, define your own holiday groups. Choose U.S. or International date format. U.S. and International atlas of over 258,000 locations in 225 countries. There's more, check Extra Features List . . .
Day Watch requires a computer with Windows 7, 8, or 10. With 32 MB RAM memory or more, and 80 Mb hard disk space. Also compatible with either 32 bit or 64 bit operating system. Day Watch also runs on Mac computers with Windows Operating System installed. Available Hard-Drive space 80 Mb free.